A humorous, early 19th century, well-observed satirical drawing with label to the back which reads- 'Greenwich Business' togeither with the artist's signature, F Rogers. 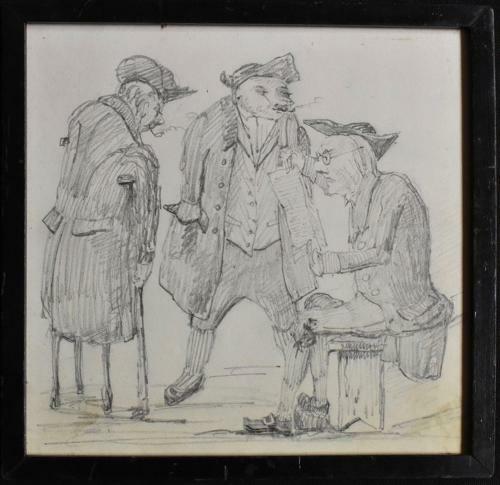 The image depicts three gentleman conducting a transaction, one with two peg legs and crutches, presumably a casualty of the Napoleonic Wars. The picture is within a simple ebonised frame. Circa 1820-30.